As long as we don’t pretend that it is science? Ever since Rolf Landauer famously announced that “information is physical”, there has been an increasing tendency by scientists including David Deutsch, Seth Lloyd and Anton Zellinger to claim a place for information as a fundamental constituent of the universe. Information concepts have also infiltrated several aspects of biology, to the extent that it is now commonly claimed that biology is an information science. Some scholars, such as Tom Stonier and Marcia Bates, have investigated the idea of a unified conception of information, with links from the physical and biological realms to the social realm of meaningful communication, and to the concerns of the library/information sciences. This approach has been criticized from the LIS standpoint by writers such as Birger Hjørland and Ian Cornelius, who argue that only contextualised and subjective information is of relevance to our discipline, and from science by authors like David Wallace, who writes of the idea that information is the fundamental constituent of the world, “I confess that insofar as they mean it literally and not metaphorically, I do not understand what they are talking about. It seems to be in the nature of ‘information’ that it is information about something: how can it make sense to regard the world itself as just information?” (Wallace 2012, p. 31). “What does ‘information is physical’ really mean? I believe that there are two ways in which we can interpret this statement. One is scientific, the second is metaphysical. The scientific explanation acknowledges that information is not much different from other physical quantities . But, as such, it is a secondary quantity. It relies on the properties of physical objects, such as photons with different polarization states or electrons with different spin orientations. In this sense it is like heat or temperature, which is a secondary quantity determined by the motions of physical objects. ‘Information is physical’ means that information must be embodied in a physical system of some kind and processing information therefore has physical consequences. Take the physical system away, and there can be no information. I obviously have no issue with this. The metaphysical interpretation suggests that information exists independently of the physical system, that it is a primary quality, the ultimate manifestation of an independent reality. ‘Information is physical’ then acknowledges that in our empirical reality of observation and measurement, information becomes dressed in a clothing of physical properties. This is a bit like suggesting that heat or temperature are the ultimate reality, existing independently but projected into our empirical world of experience in terms of the motions of physical objects. Our approach (Bawden and Robinson 2013, Robinson and Bawden 2013) has been to argue that it is worthwhile studying the relations between concepts of information in various domains, since – even if no valid unified conception of information is found – much useful insight is likely to be obtained. Taking Luciano Floridi’s appealing picture of the nature of information as an archipelago, where each island amounts to information in one domain, we think it worthwhile to study the bridges, tunnels and ferry services in the information archipelago. We also strongly agree with Jonathan Furner (2013) that the concepts of information derived in LIS may have great value for other disciplines. So, should be concerned that Baggott has outed us as potential metaphysicians? We think not. 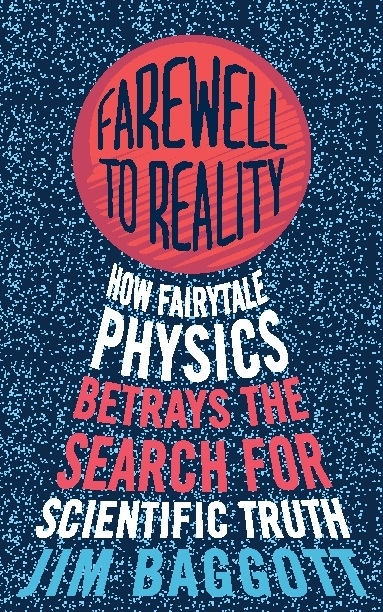 It is for physical science to decide on its best conception of information, and these subjects may be moving in a more metaphysical direction than in the past; Baggot’s denunciation of “fairly tale physics” covers far more than just information physics. From the philosophical direction, the ontology of ‘informational structural realism’ (Floridi 2011) seems quite close to Baggott’s metaphysics. Perhaps a unified conception of information, if a convincing one is to be found, will draw as much from the philosophical as the physical; for the LIS disciplines, multiple perspectives are surely needed.